the gorgeous jalene is sharing her proust answers with us this week. 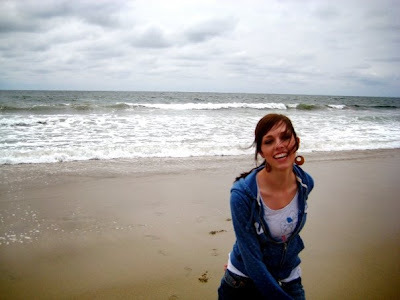 jalene has a terrific blog where she writes honestly and beautifully about her life. she is absolutely one of my daily reads. is it odd that sometimes i wish jalene was my little sister (in addition to ivy, of course)? maybe that's weird. i just really love this girl. and i know you will too. being married, raising a family... then when we're 80 we will sit hand in hand, look at our posterity and know we did all we could to teach them to be good people. i seriously love this country. car accidents, i've never been in one but whenever i get in a car i'm always worried about crashing. ya know... all those scary things. i wish i was amazingly good at singing. music just has that magical quality and i wish my sub-par voice didn't kill it. not like flaky-memory, but if someone tells me a story or says something to me i simply cannot retell the conversation to someone else. muscle memory? great! words? no bueno. i could go on forever about my friends. and still love me when i make mistakes. and most of all, they are the best examples in the world. i look up to each and every one of them. they are my family, my rocks, and i love them so very much. And here's my favorite picture of myself. This was hard... I've never thought about a favorite picture of myself. I guess I like this picture because it's in Oceanside, CA... one of my favorite places ever. And I honestly was just genuinely happy in this picture. Hey! I'm commenting on everyone's blog that has commented on mine, just to tell them I've undeleted my blog! Just found your blog. I need to catch up on your back posts! Thanks for the tip :) I almost lost hope in my fishes all together. Well I'm glad that fishy mess is all cleared up, I will only be buying after Jan expiration's from here on out. From one crazy fish (parm. flavored to be exact) to another, thanks! mmmm. lovely. this both calmed me and perked me up this morning. and that picture is gorgeous--her spirit is just radiant! I ADORE OCEANSIDE!!!!! And I like Jalene, too! I've never met her, but I think I'll be reading her blog. Such a cool girl. i thoroughly enjoy both your blog and jalene's. thanks for posting!